and then get started with your 30-day Iris Works trial today. 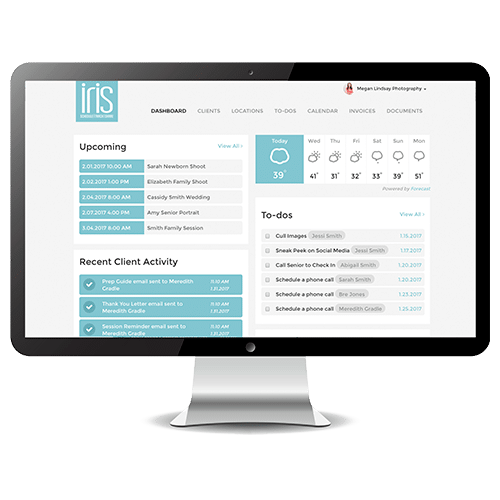 Iris Works allows you to send clients potential dates for sessions, consultations and in-person sales directly from within the application. From automating workflows to handling your contracting and invoicing, we’ll do the heavy lifting to help you have a happier and more successful business. You can thank us later.